Please join us as we celebrate soul, self & spirit. 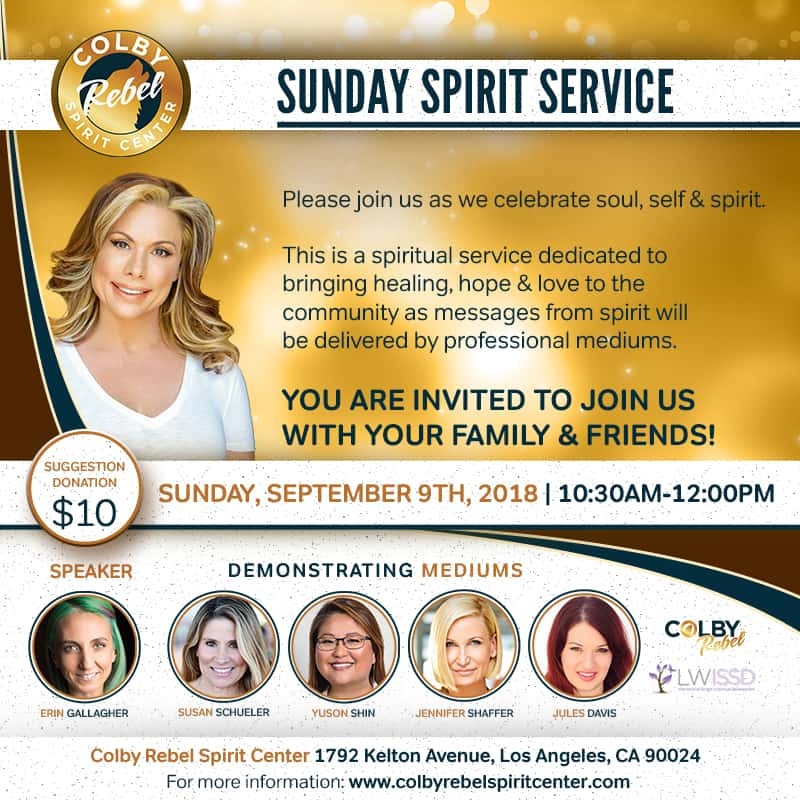 This is a spiritual service dedicated to bringing healing, hope & love to the community as messages from spirit will be delivered by professional mediums. YOU ARE INVITED TO JOIN US WITH YOUR FAMILY & FRIENDS! We are excited to have guest speaker Monique Hitzman give a professional talk on energy along with mediums Susan Schueler, YuSon Shin, Jennifer Shaffer and Jules Davis delivering messages from your loved ones in spirit.